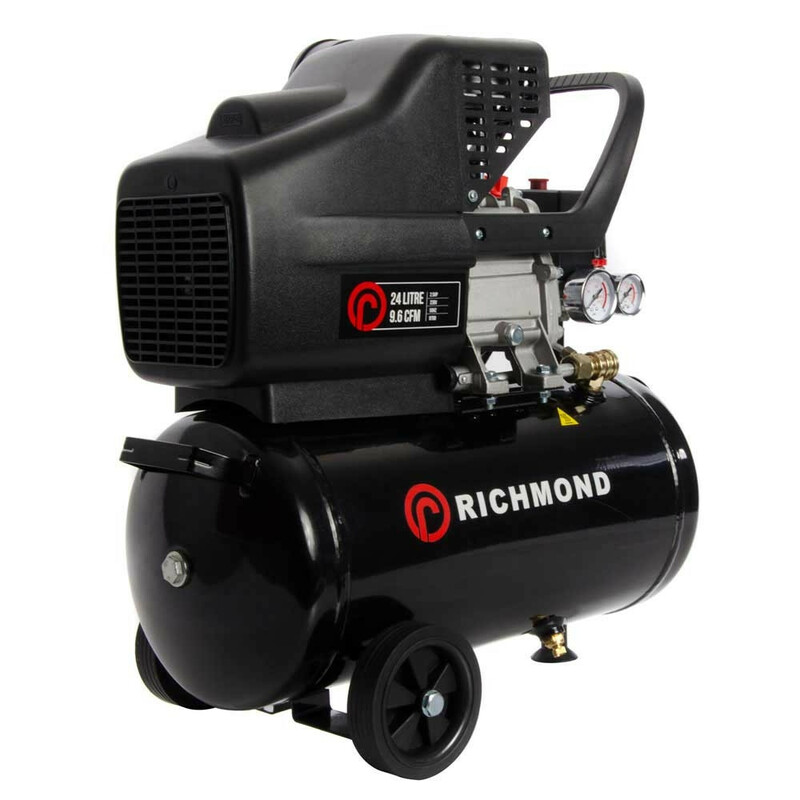 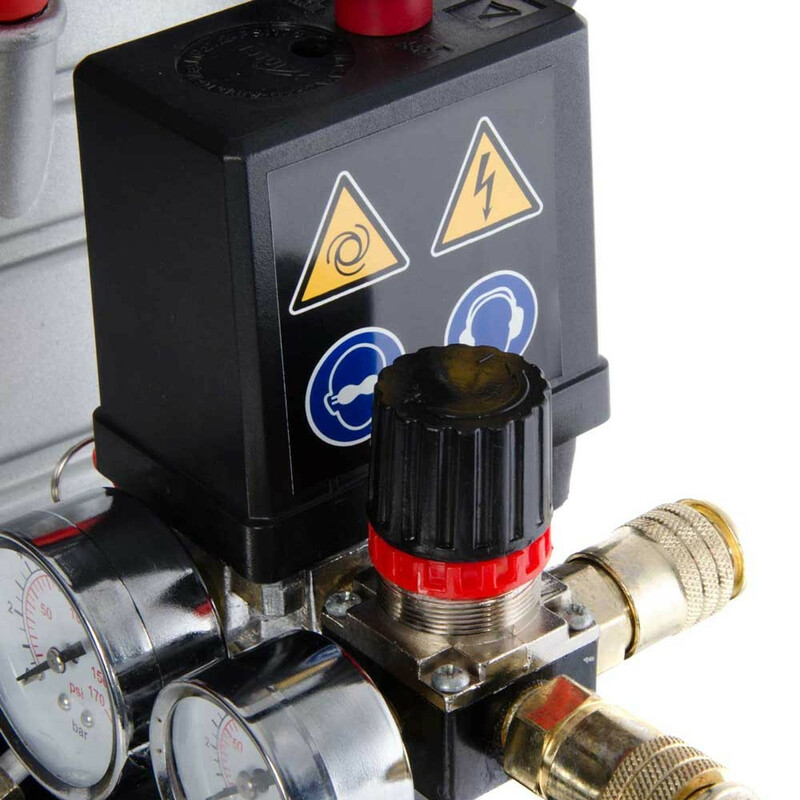 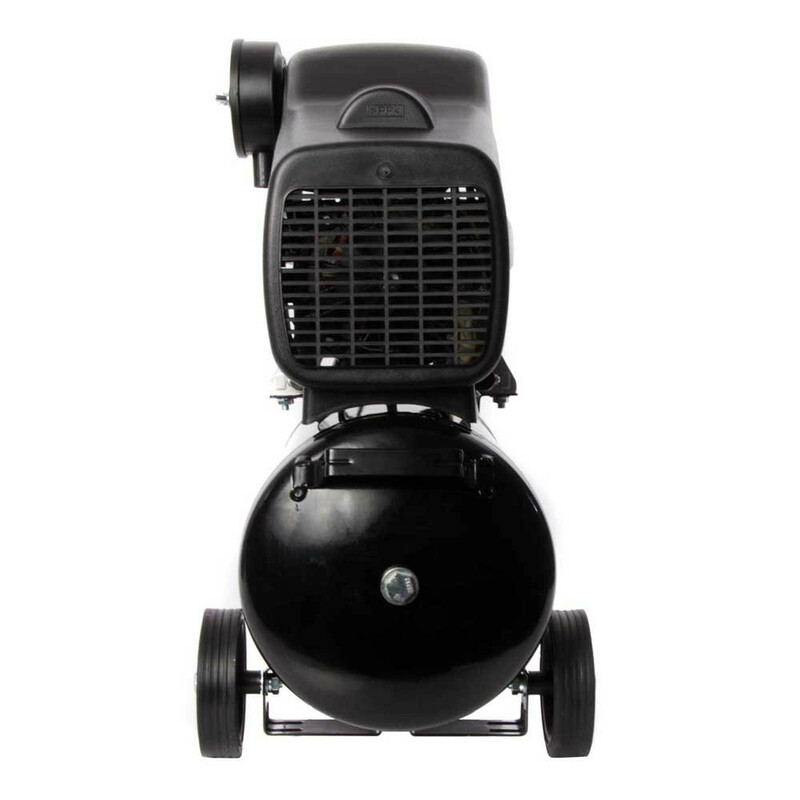 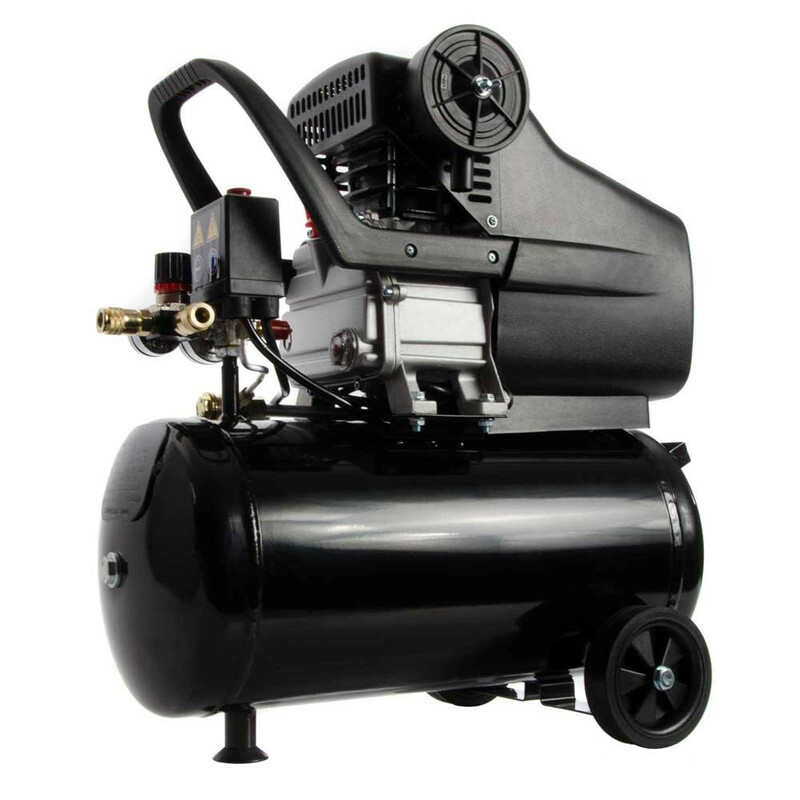 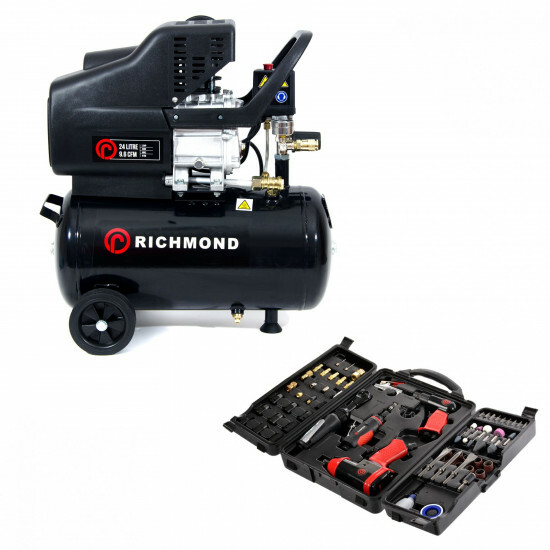 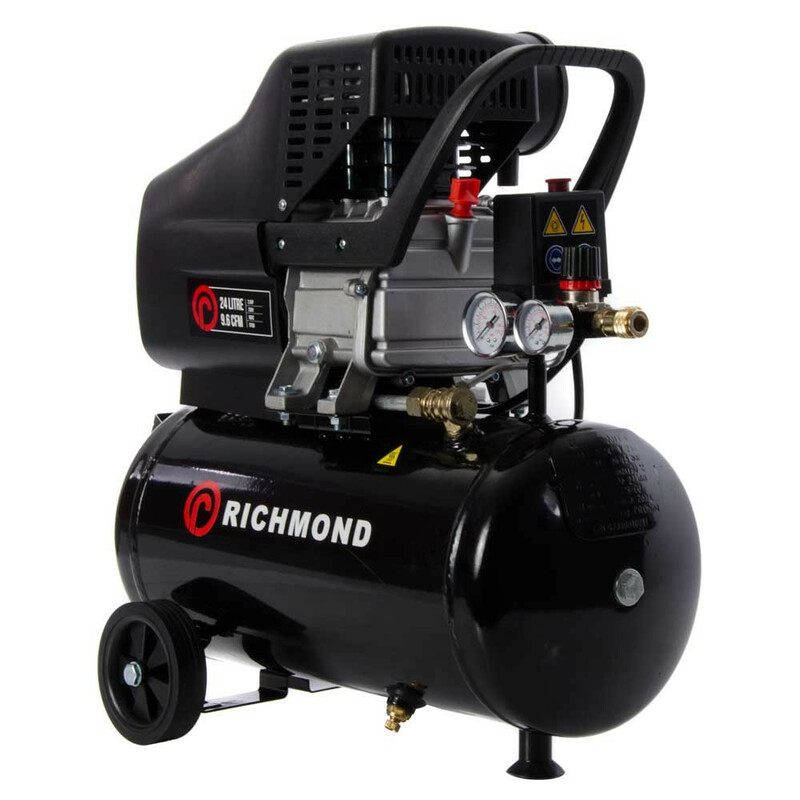 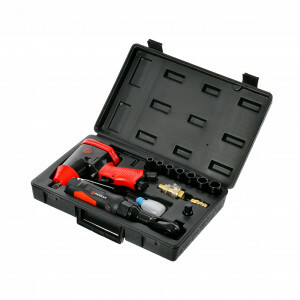 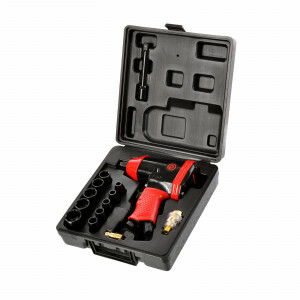 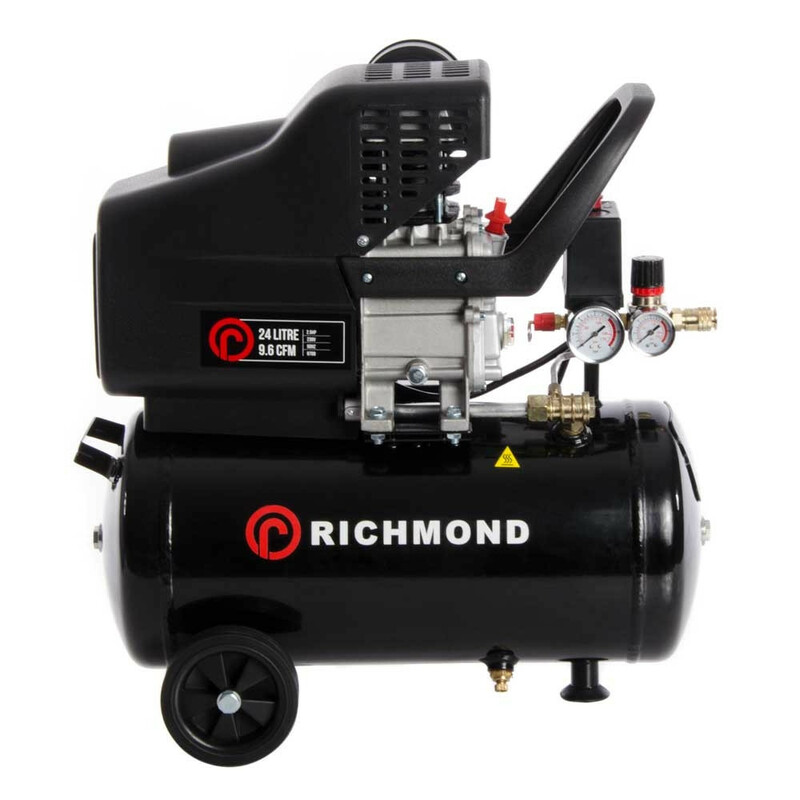 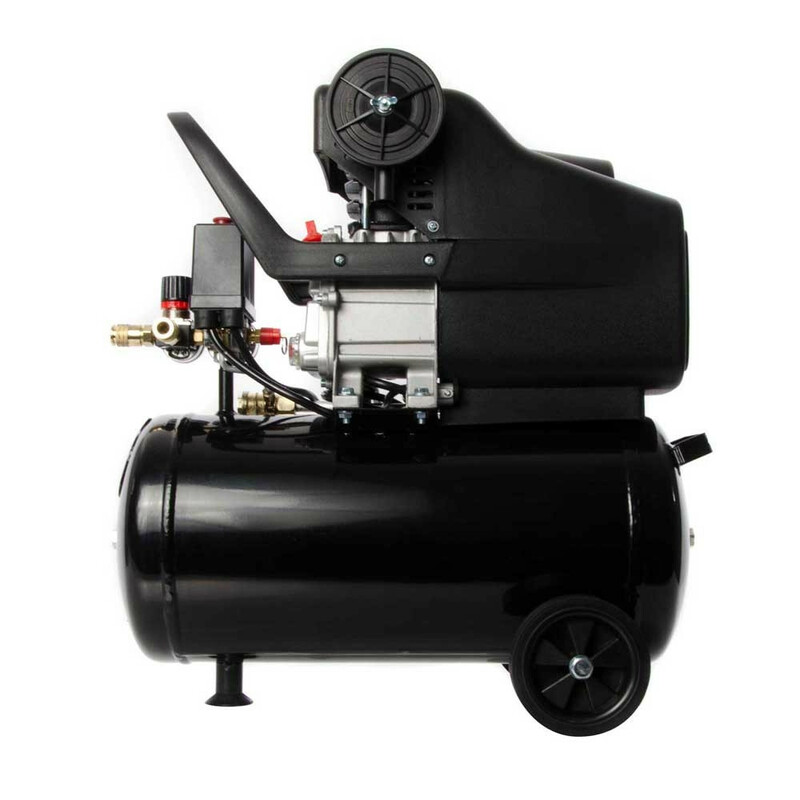 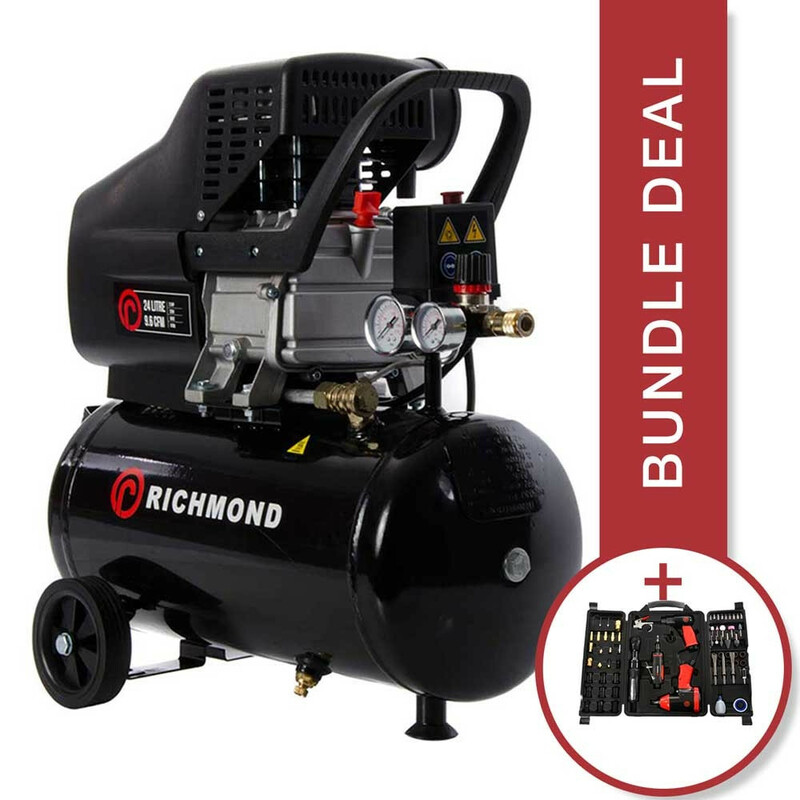 The Richmond 24L Air Compressor delivers excellent results through a wide range of applications such as spray-painting, inflating tyres or operating air tools. 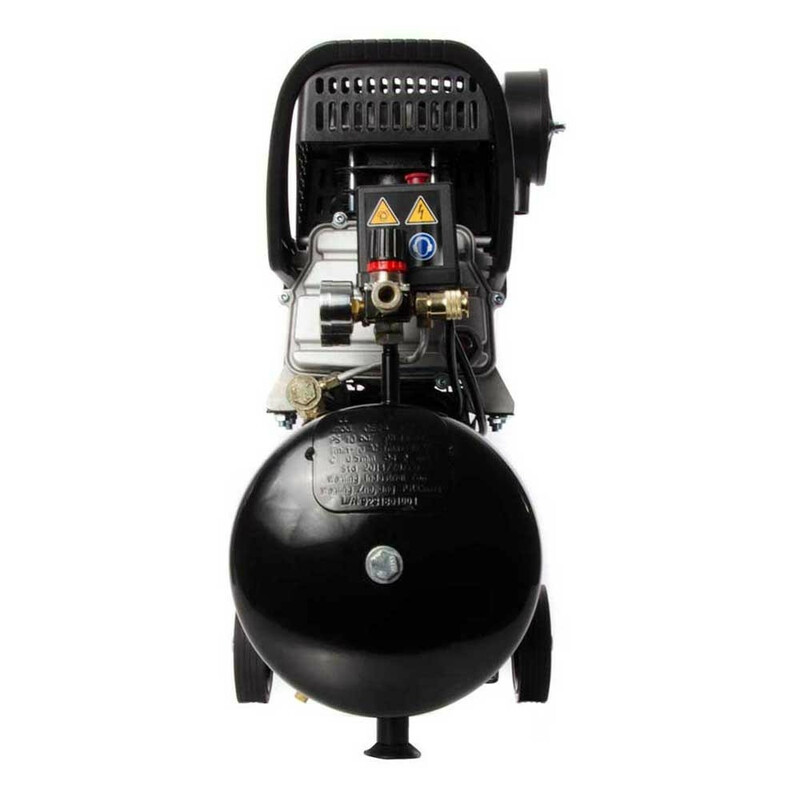 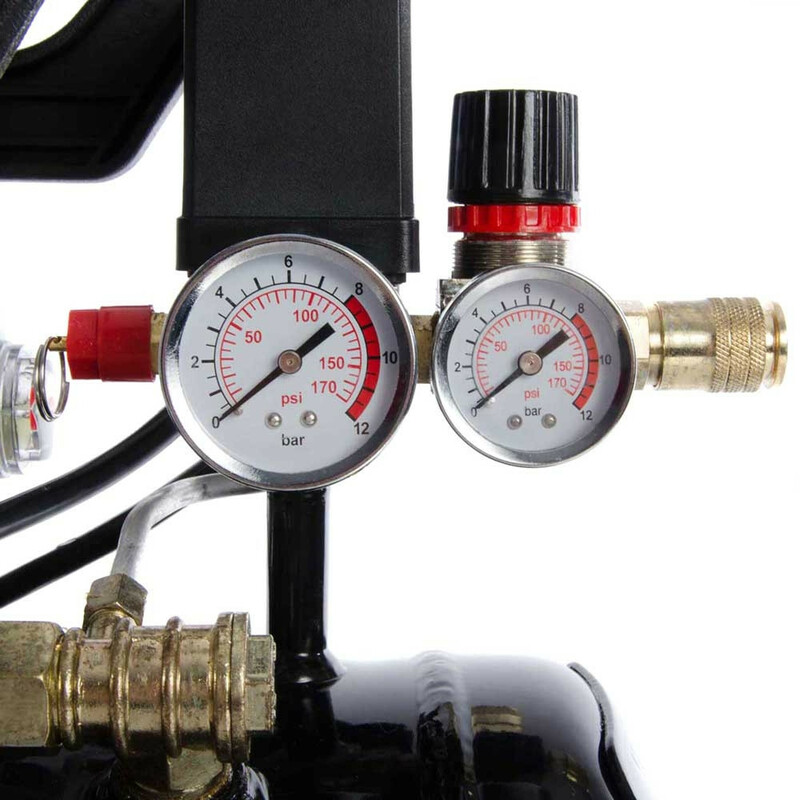 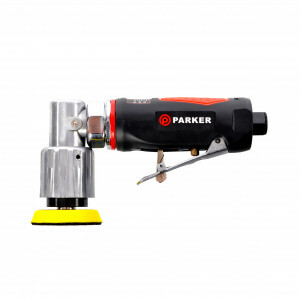 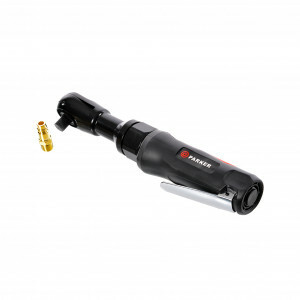 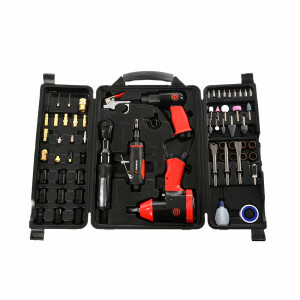 It has been hand built out of aluminium and cast iron cylinder for efficiency and high quality so you can be sure you receive excellent results every time. 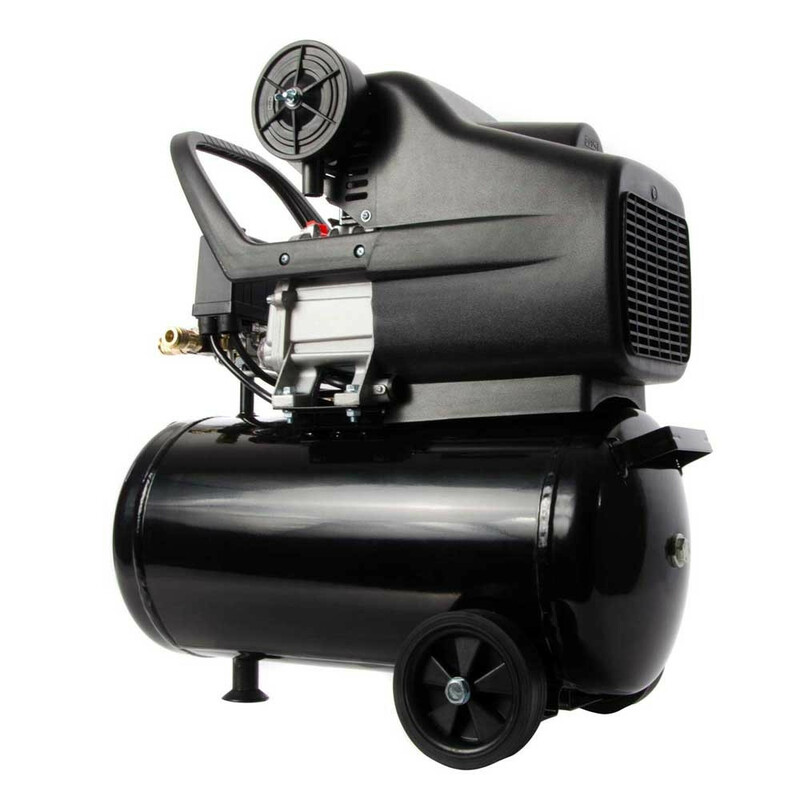 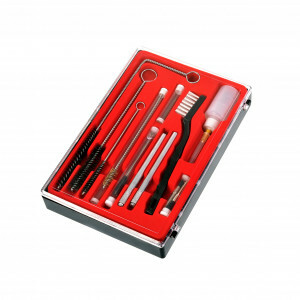 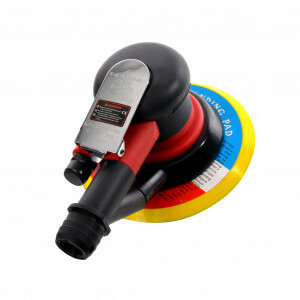 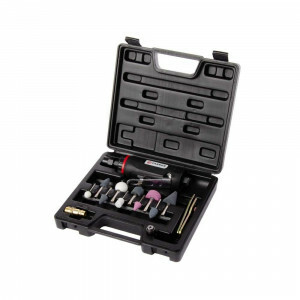 It features two air outlets so that two applications can be carried out at the same time. 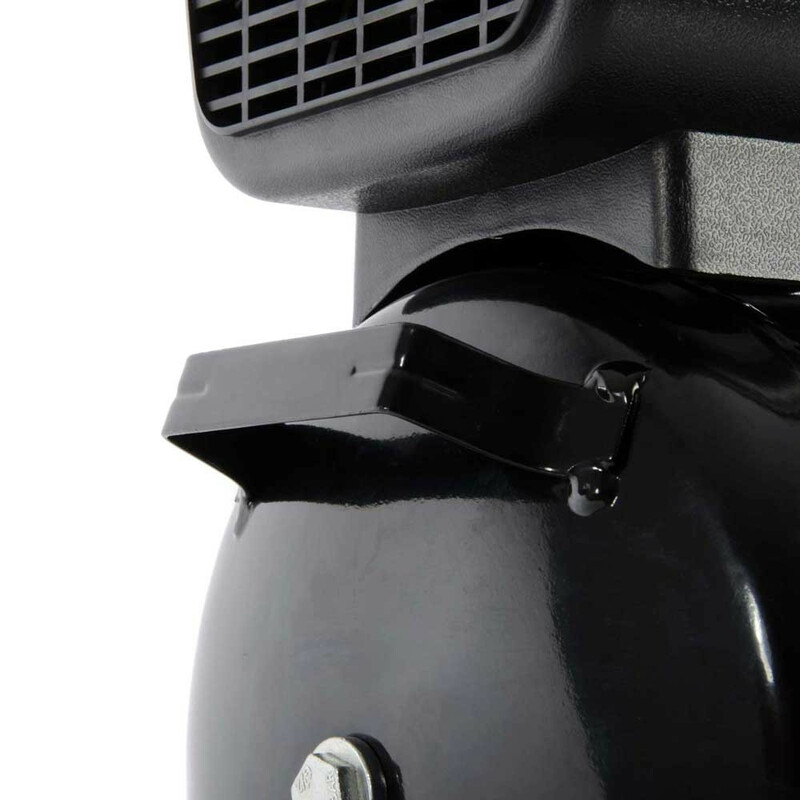 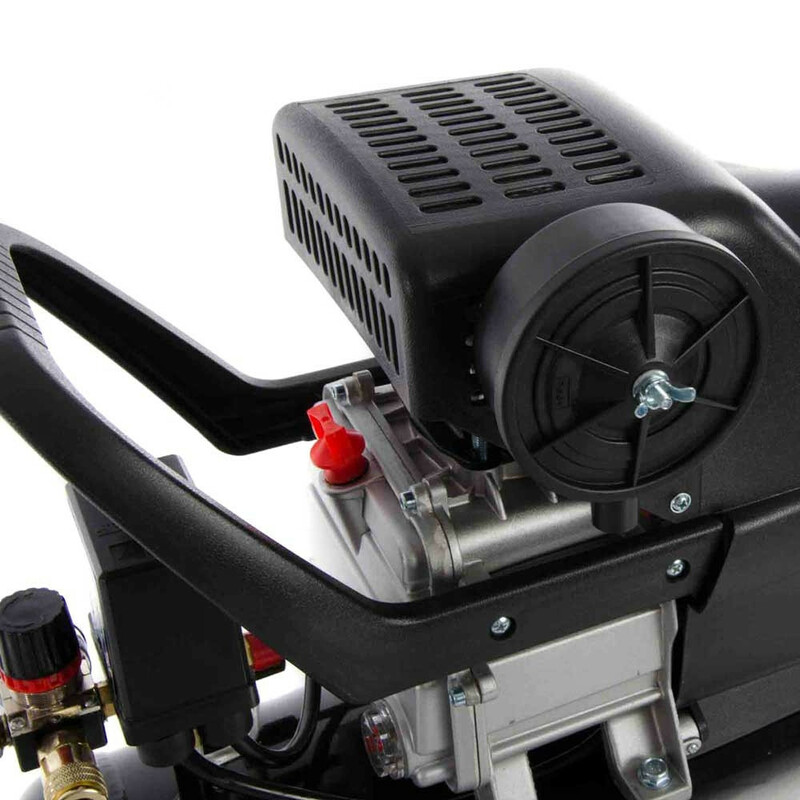 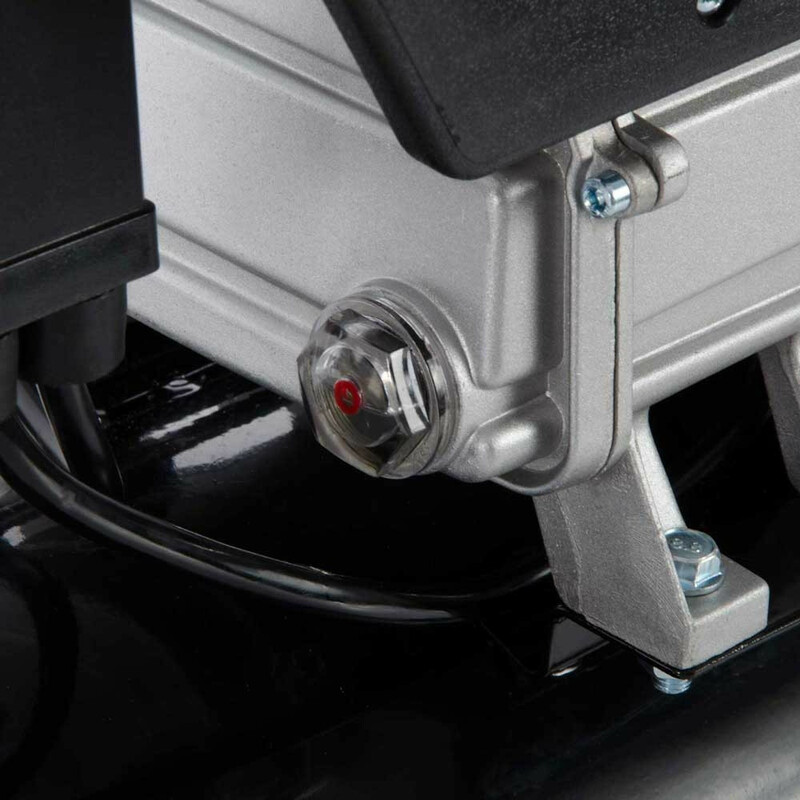 The 2.5HP motor makes light work of a wide range of tasks in or around the garage at home. 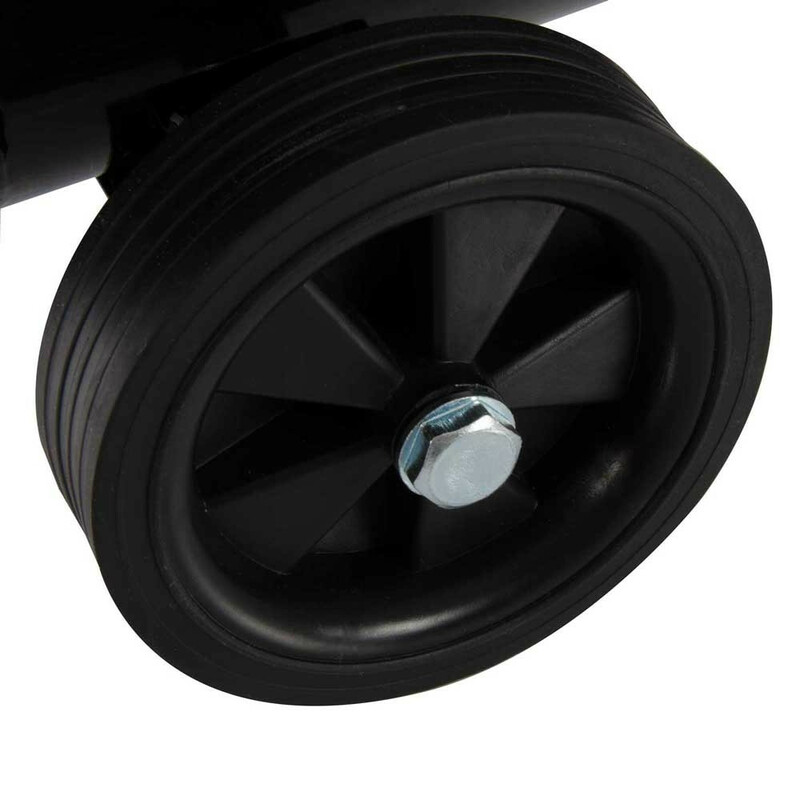 Mounted on two rigid plastic wheels not only reduces vibration but also makes moving the 35KG weight a breeze. 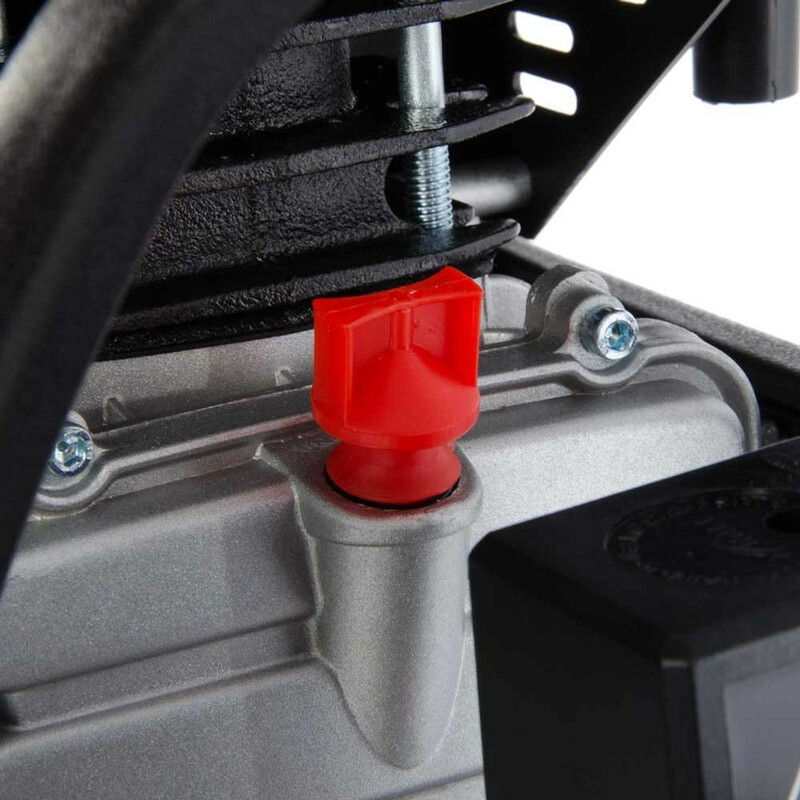 Please note: Outlet connector configuration may vary to that shown in the photo, if a specific outlet direction is required please get in contact with us before ordering.